NoMask | CPAP PRO II Official Website. End The Torture! Painful Chin Straps & Full Face Masks! WITH THE NEW CPAP PRO II! SEE THE DIFFERENCE FOR YOURSELF! WATCH HOW THE CPAP PRO II DOUBLE MOUTHPIECE WORKS! THE CPAP PRO II PROVIDES YOU THE COMFORT TO SLEEP PEACEFULLY. 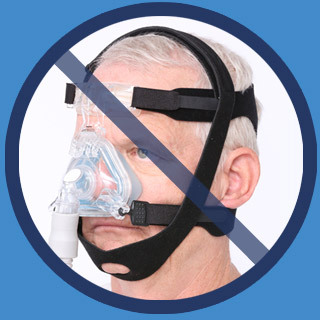 No more straps or the need for full face masks while also increasing your CPAP effectiveness by preventing open mouth breathing. Prevent facial sores and cut down on the awful straps. Achieve comfort AND improved health! 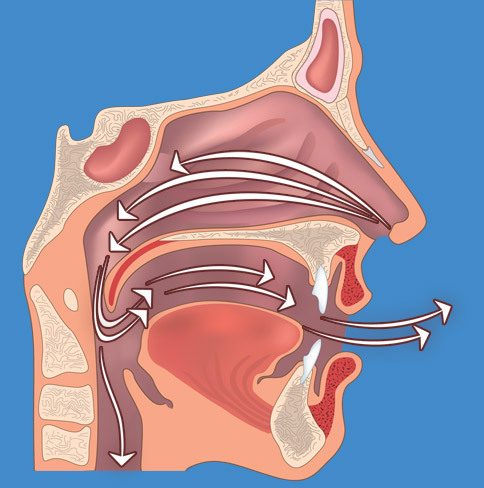 See the difference between an open mouth breather and an open mouth breather with the CPAP PRO II. 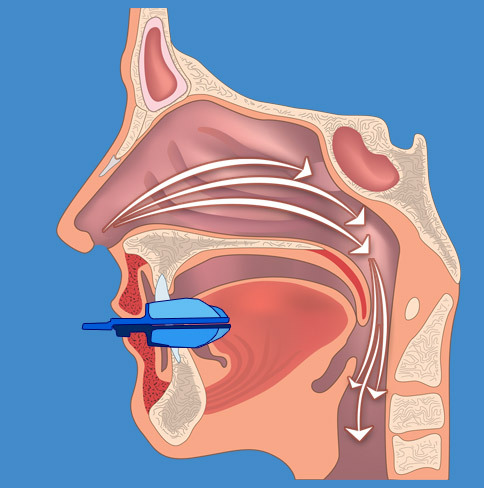 Air escaping from your mouth makes your CPAP therapy a lot less effective! Air no longer escapes when your mouth is closed. 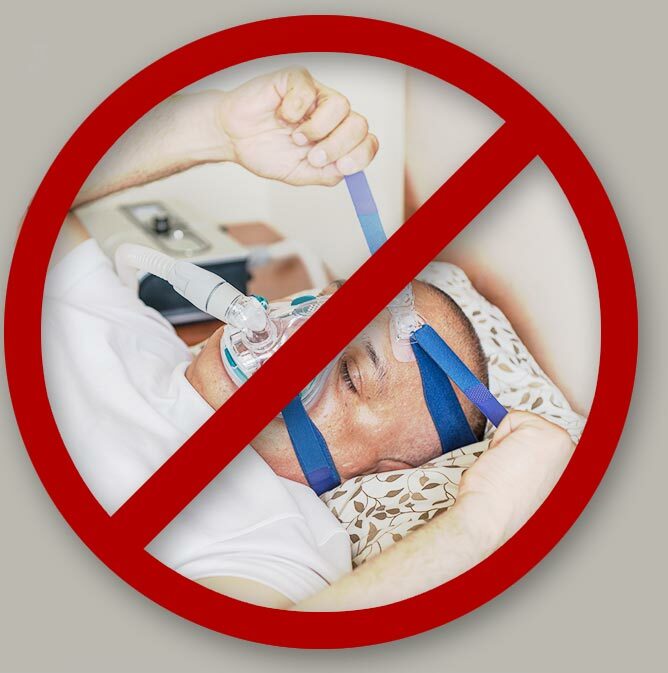 CPAP therapy is far more effective! 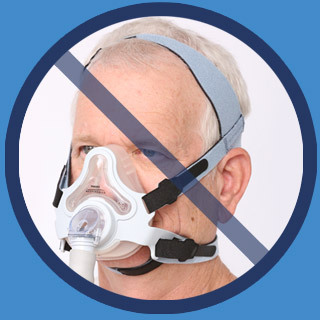 CPAP PRO II Eliminates Everything That Makes CPAP Masks Unbearable! Straps cause crushing pain and are the #1 source of frustration. CPAP Pro II uses no straps or anything that would leave a painful mark. No More Mask! CPA Pro II's minimal design means barely anything is in contact with your skin. Now that's comfort! Forget the headgear. Our simple dual Boil 'N Bite mouthpiece eliminates all that strangling head gear so you sleep in peace. Good sleep is so important to living a good life. Without it, you'll feel tired, miserable and depressed. I should know because I'm a fellow mouth breather and Sleep Apnea sufferer. I know what it is like to wake up feeling more tired than when you went to sleep. It's definitely no way to go through life. For years mouth breathers like us have faced a difficult choice. To wear a claustrophobic full face mask or ineffective chin strap, both so uncomfortable that it keeps us awake, or don't wear either and suffer the serious consequences of open mouth breathing. Now I have created a third choice - the CPAP PRO II. I personally have sleep tested this amazing device for over two years to assure myself of its effectiveness! Believe me it works. It is comfortable and it is effective. Get your CPAP PRO II and start sleeping better. And through SoClean you can save 15% Order Now! Learn How You Can Receive a CPAP PRO II at Little Or No Cost To You! 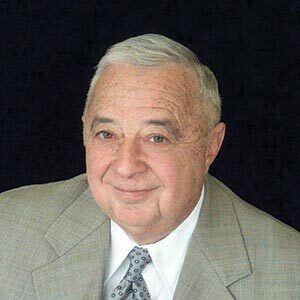 Are You A DME provider? Please contact us for more information about CPAP PRO and CPAP PRO II. 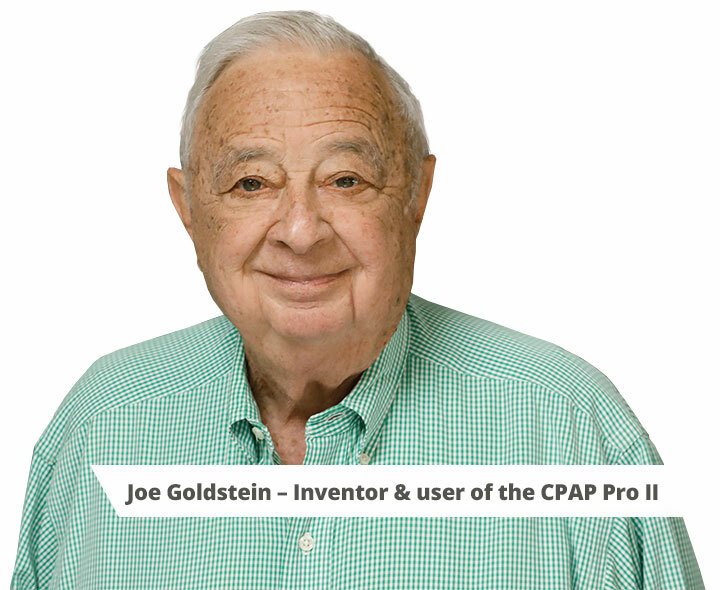 CPAP PRO®, CPAP PRO II®, and NoMask™ are registered, trademarked products of Stevenson Industries, Inc. Patented & Patent Pending. Get the latest news and information about this great product. Be a part of our global discussion on everything CPAP related.